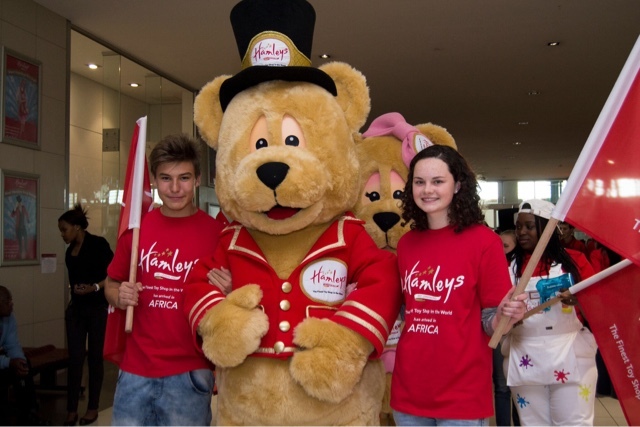 Hamleys...The finest toy store in the world, opens its doors in South Africa!!! Buddy loves toy stores...but then again, which kid doesn't? (and many adults too!) 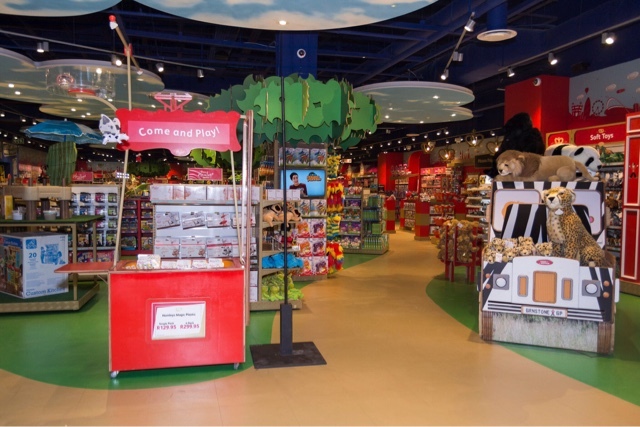 There is nothing like a toy store to bring joy to a child's life! 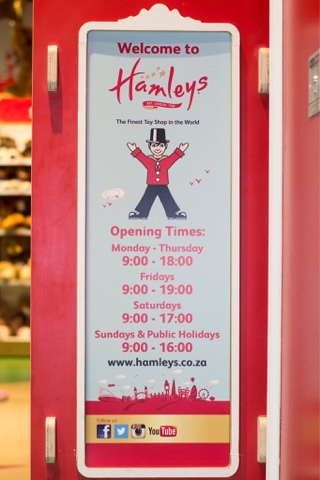 We were delighted when we heard that Hamelys, the oldest toyshop in the world, was opening at the Greenstone shopping centre. My Buddykin was beyond excited! Unfortunately on the morning of the big day, my three month old twins took ill and were admitted to hospital. They spent a week there, but thankfully they are feeling a lot better now. Needless to say Buddy (and I) were really disappointed,(that look of disappointment that I saw in his eyes is going to haunt me for a long time), but he was so sweet and understanding about it... We have promised him a visit to the magical toy land soon... I think that he deserves something special for his patience. The past three months have been really hard on us, but most especially on him, considering that he was an only child for almost four years, and even though I try to give him a lot of attention, the twins seem to take up the bulk of my time, so I really thought that it would have been wonderful to have done something special with him, but alas, it was not to be. We are really looking forward to taking him and treating him to something special. See you soon Hamleys!!! 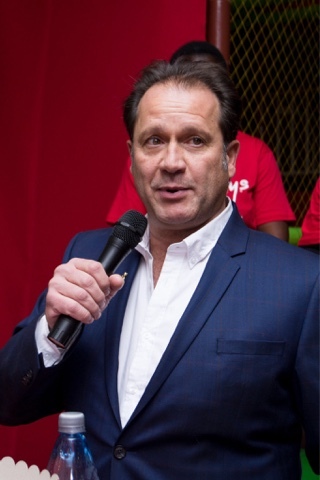 The CEO of Hamleys, South Africa, Philip Paphitis. PS: Stay tuned for the twins' nursery reveal coming soon!